Private high-quality over-strike on genuine 1976 coin. Do not attempt to use as legal tender. NOT endorsed or approved by the US Mint, US Treasury, or US Government. Private high-quality over-strike on genuine 1971-1978 coin. Do not attempt to use as legal tender. NOT endorsed or approved by the US Mint, US Treasury, or US Government. 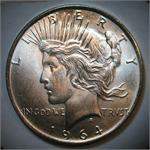 Private high-quality over-strike on genuine 1948-1963 coin. Do not attempt to use as legal tender. NOT endorsed or approved by the US Mint, US Treasury, or US Government. Private high-quality over-strike on genuine 1913-1938 coin. Do not attempt to use as legal tender. NOT endorsed or approved by the US Mint, US Treasury, or US Government. 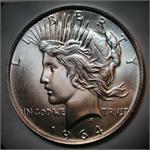 Private high-quality over-strike on genuine 1971-1974 coin. Do not attempt to use as legal tender. NOT endorsed or approved by the US Mint, US Treasury, or US Government. Private high-quality over-strike on genuine non-proof 2009 Silver Eagle coin. Do not attempt to use as legal tender. NOT endorsed or approved by the US Mint, US Treasury, or US Government.